This right is for setting. 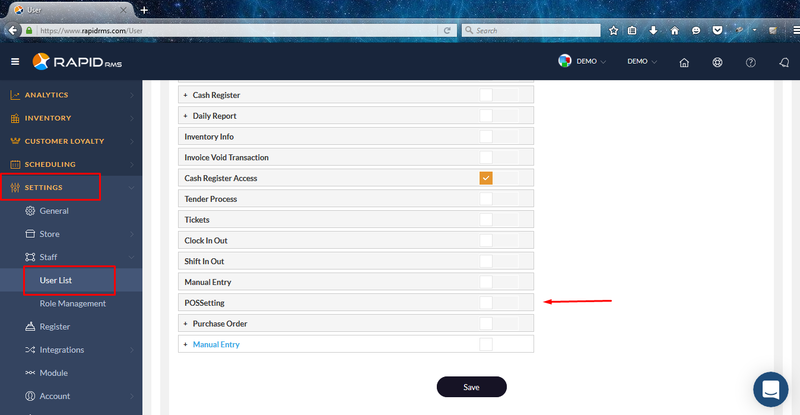 Setting -> staff -> user list -> open user in edit mode -> open user rights tab -> POS rights -> POS setting. 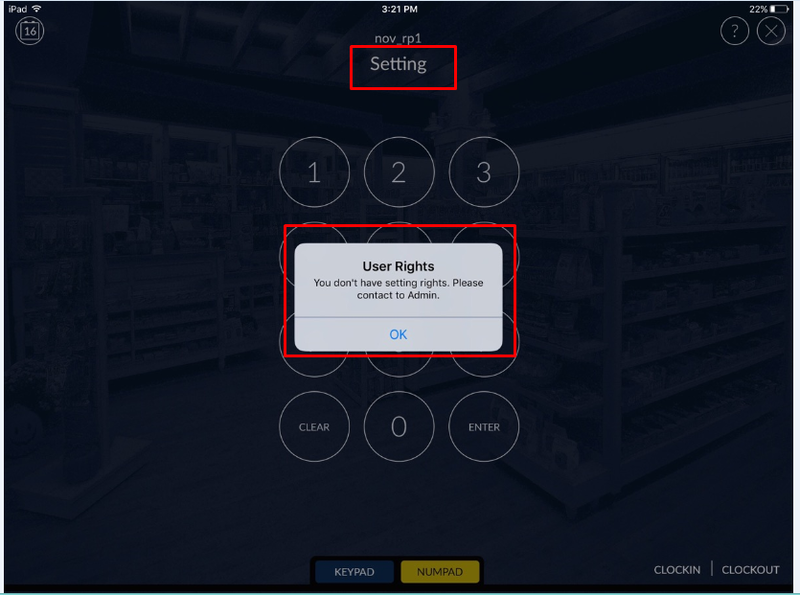 When pos setting is enable then user is allow to use setting in IOS application. When in user rights if pos setting option is unchecked then user is not allow to access setting.